The movie My Week with Marilyn is the telling of the true story of a young English man with aspirations to be in the movie industry as he encounters the great Marilyn Monroe on the set of a film in England. The story is told from the perspective of Colin Clark, played by Eddie Redmayne, who comes from a rich and privileged background, but is eager to earn his way into the film making industry all on his own. Through great determination he lands a job as the third assistant director on a film directed by Sir Laurence Olivier, played by Kenneth Branagh. On the set, Colin starts a relationship with the young wardrobe director Lucy, played by Emma Watson, but when Marilyn Monroe, played by Michelle Williams, shows up as the star of the film, he becomes enchanted and awe struck by the American film star. Marilyn struggles greatly to grasp her character and is often flaky in both her performance and her dedication to working, and so Colin is given the responsibility of keeping an eye on Marilyn in order to help the film along. Marilyn takes a keen liking to Colin, seeing him as a genuine young man who is not around her simply because she is the famous Marilyn Monroe. Colin quickly gets drawn into Marilyn's world of being a star, and gets a front row seat to her deep insecurities and her complicated personal life. The relationship between Colin and Marilyn is unique and complex, but it ultimately becomes necessary for Marilyn's sanity when it comes to shooting the film. What unfolds is a short-lived but unforgettable time in Colin's life. The movie My Week With Marilyn is less about plot and more of a slice of life film with great insight into a small period of time. Both Williams and Redmayne are perfectly cast, and give astonishing performances, especially Williams, who nails the part, as she has an almost eerie resemblance to the real life Marilyn Monroe. 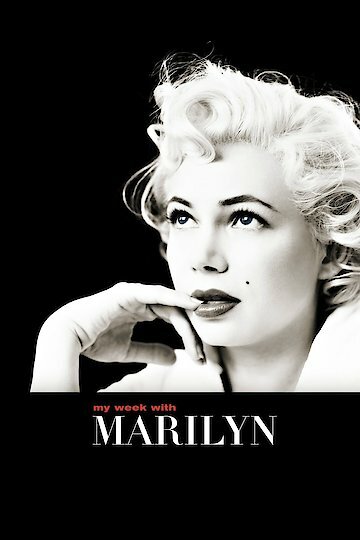 My Week with Marilyn is currently available to watch and stream, buy on demand at Vudu, Google Play, FandangoNow, iTunes, YouTube VOD online. Was Marilyn Monroe a Lesbian? In a new biography of the iconic blonde, author Tony Jerris reveals Marilyn's intimate sexual secrets, including her reported relationships with a plethora of notable actresses.